My family never had an air conditioner. 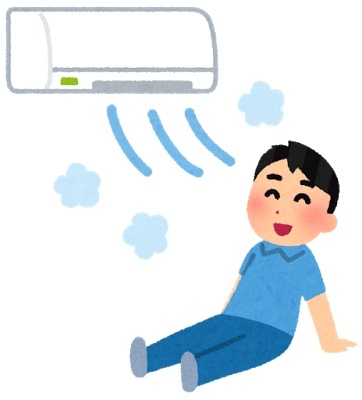 I feel cold easily and I didn’t want to get one even though my husband has always wanted an air conditioner. However, last summer was so hot that I couldn’t stand anymore. So finally we decided to buy one last Sunday! It can clean and prevent mold by itself. Yesterday an AC technician came to my house and set it up for about 2 hours. It’s the newest item in my house! Since this air conditioner is a 2017 model, it can clean and prevent mold by itself. This machine is very clever. I hope I would be able to spend a peaceful summer this year. One thing I am worrying about is my husband and I would battle over the temperature. I prefer higher temperature than him.